This is a beautiful 18" red diode necklace. The necklace is made up of 75 red diodes that are used in electronics and are RoHS compliant. 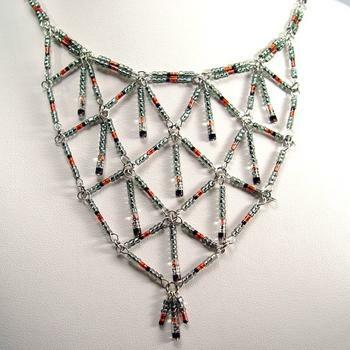 (No lead) The black germanium diodes dangling in the center of each diamond completes this design.